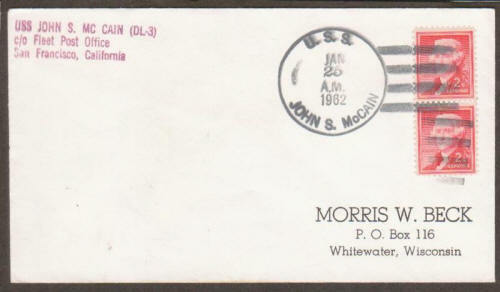 PaulaCover, The Cover Connection on eBay sold this great sailor's mail cover on eBay. 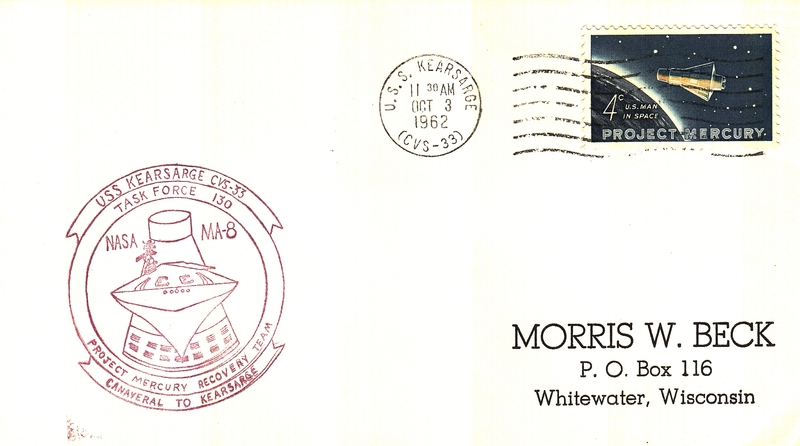 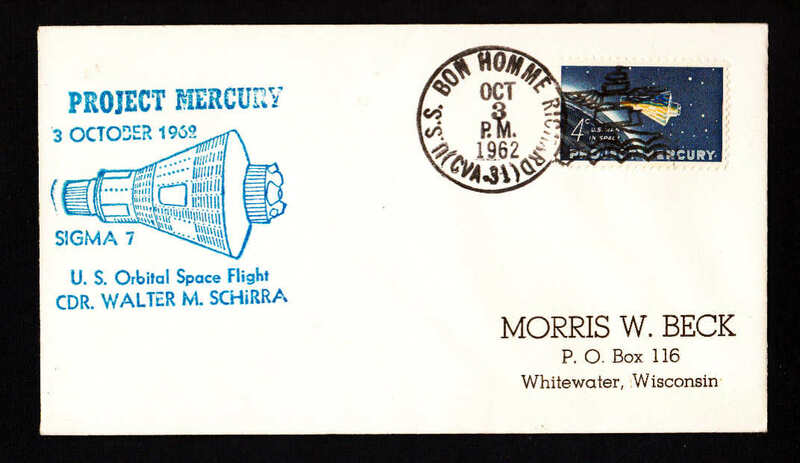 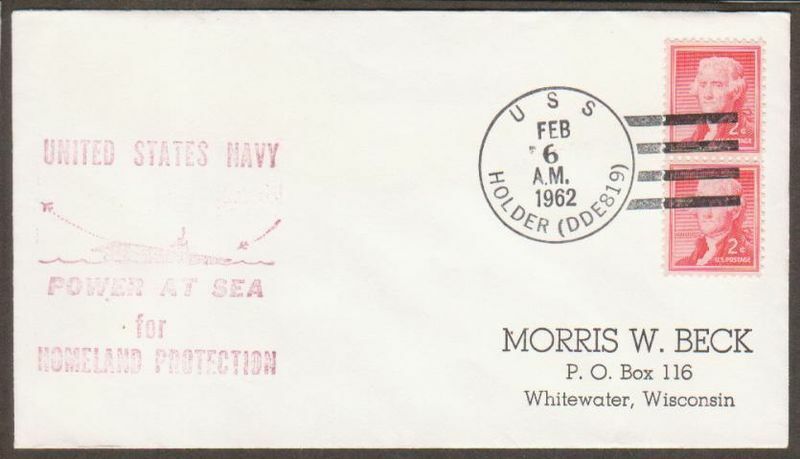 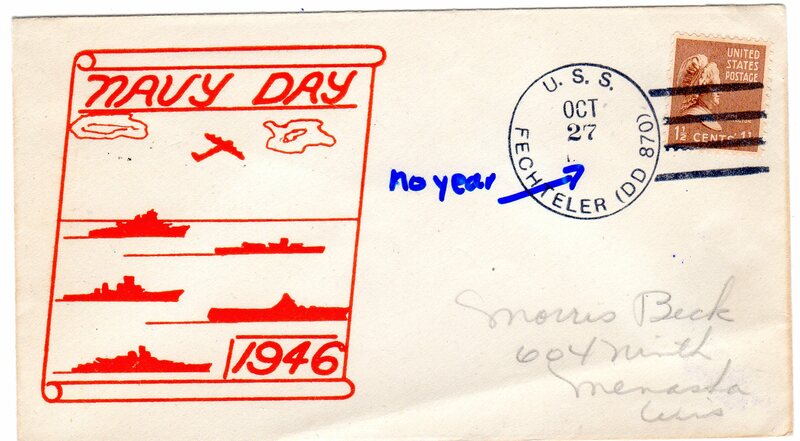 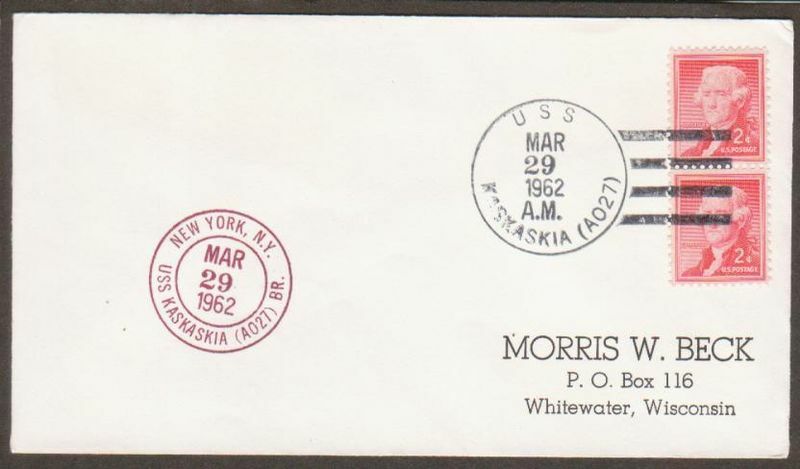 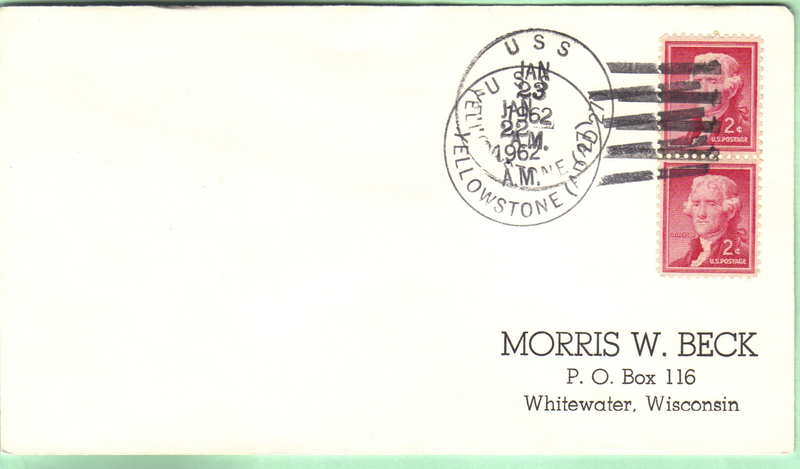 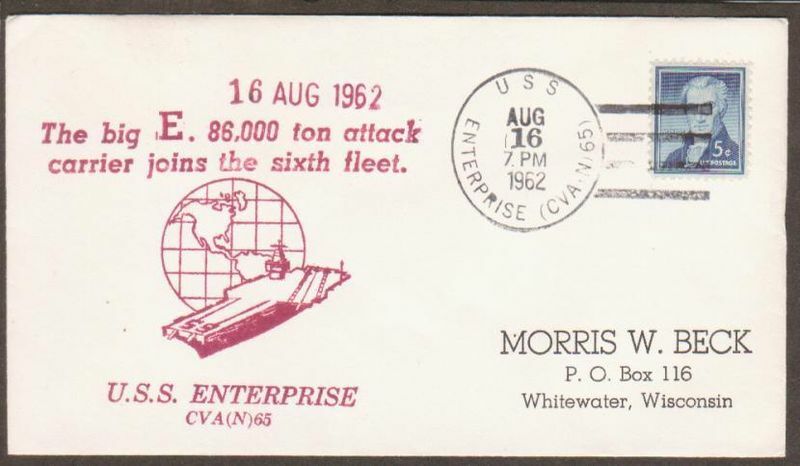 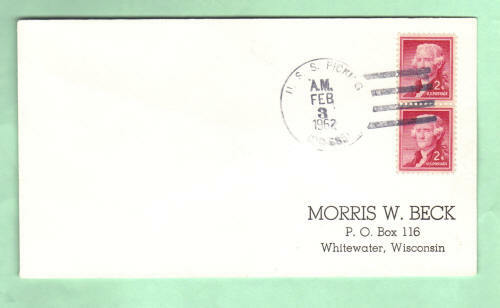 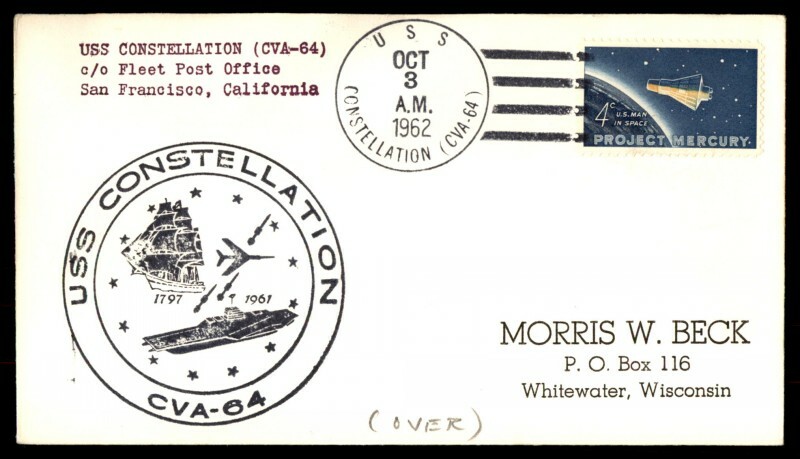 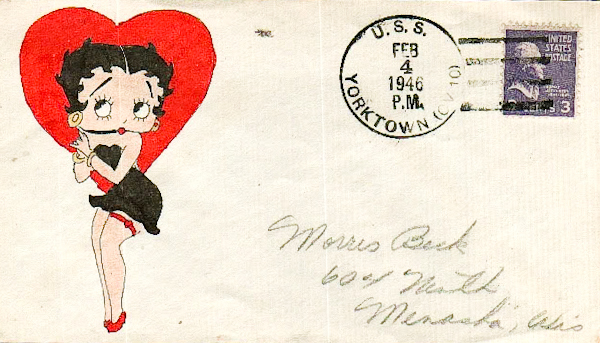 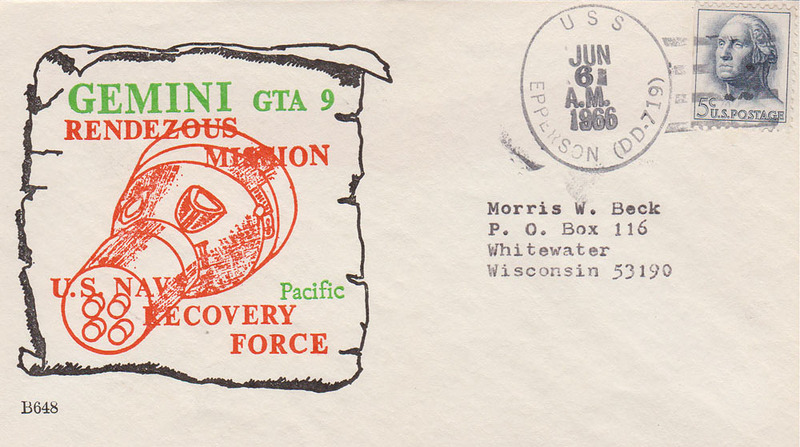 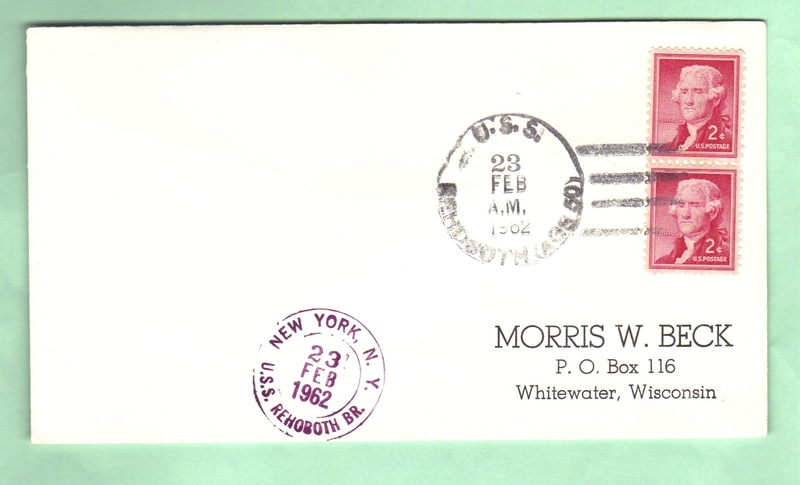 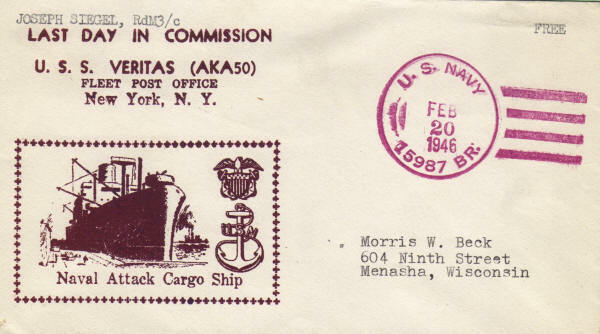 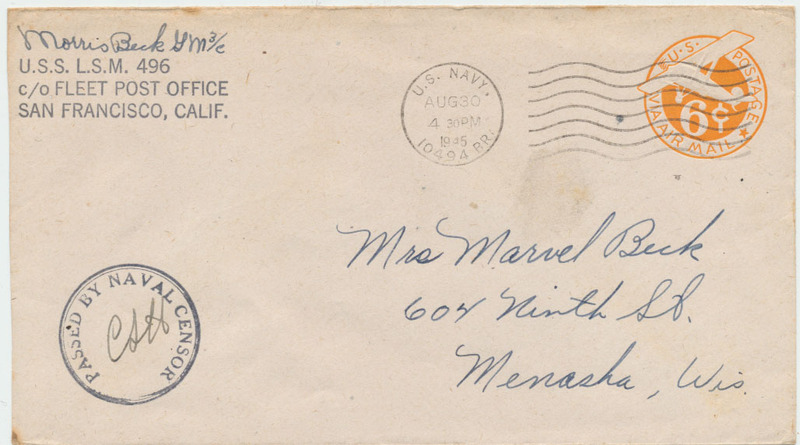 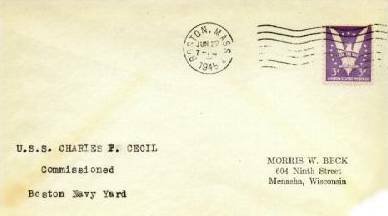 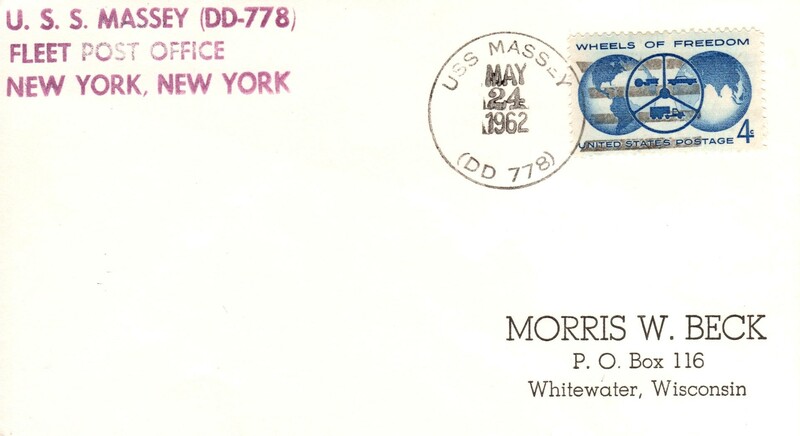 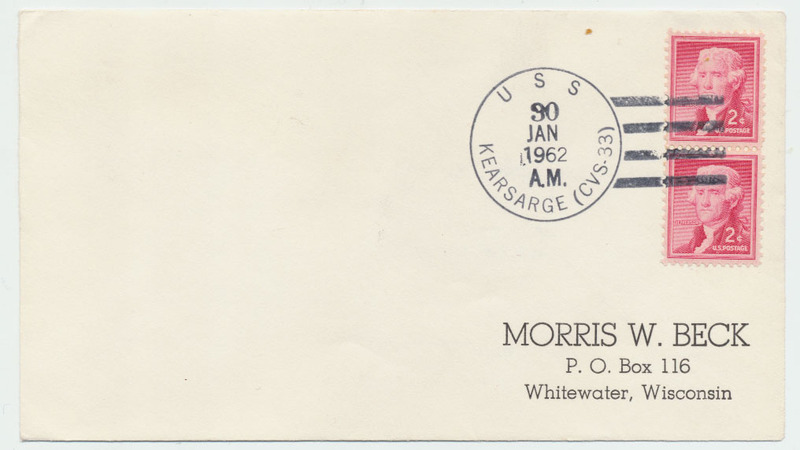 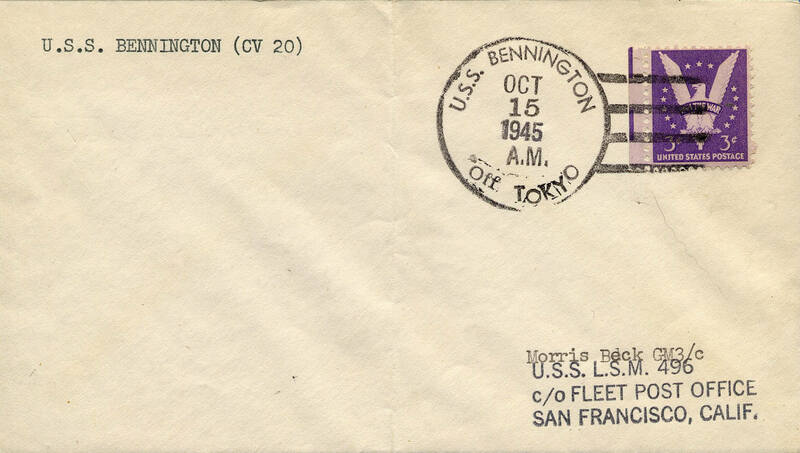 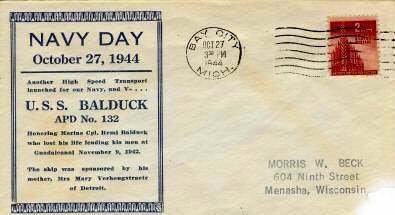 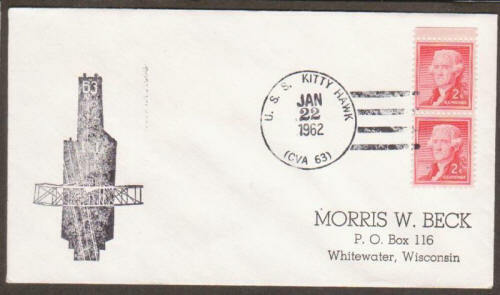 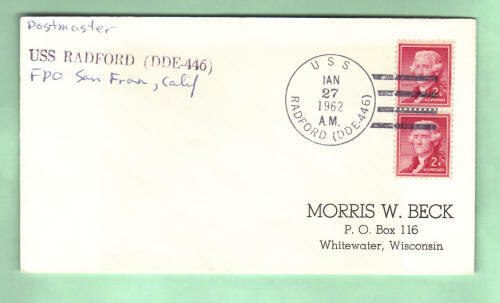 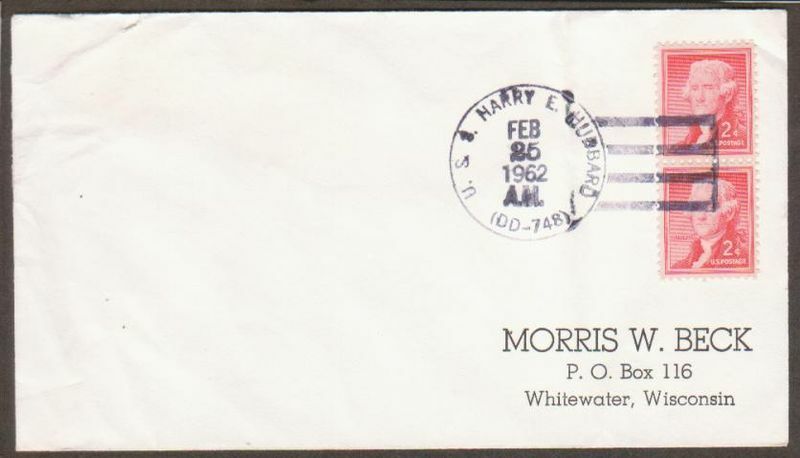 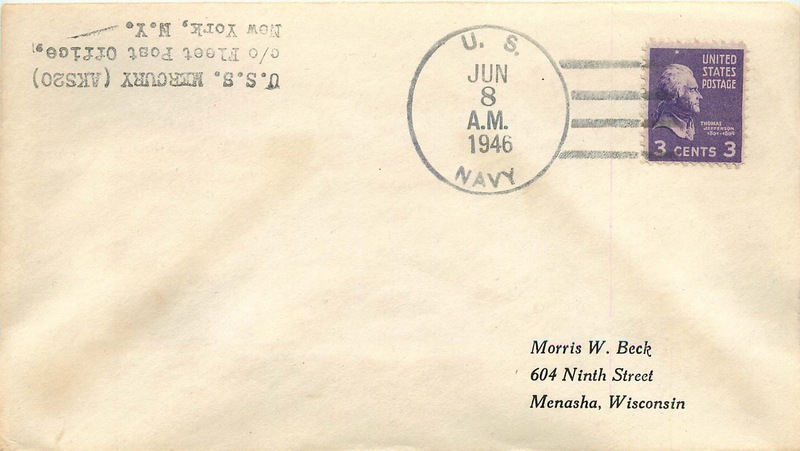 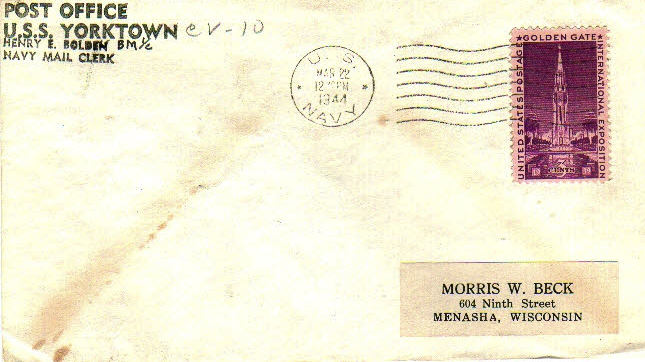 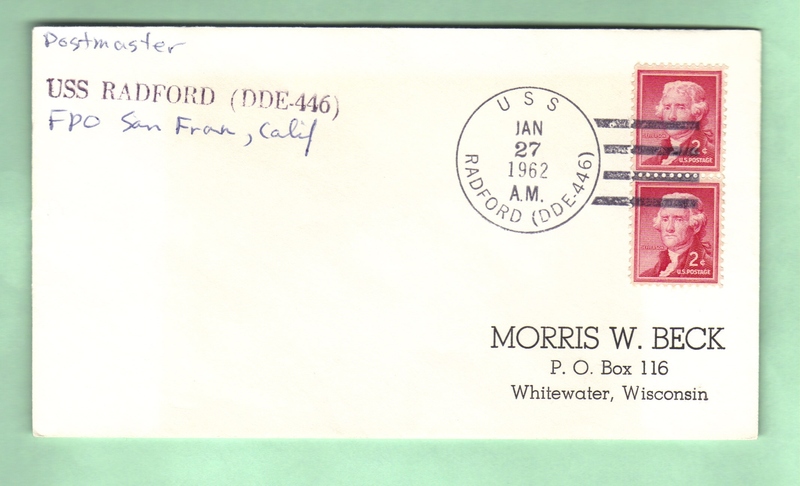 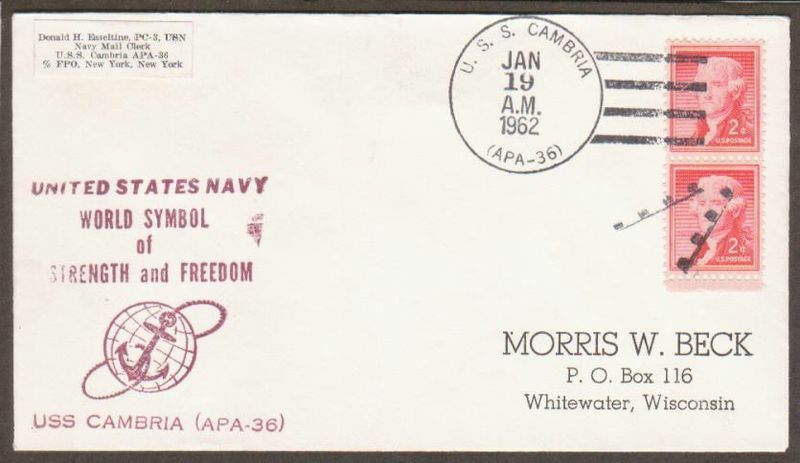 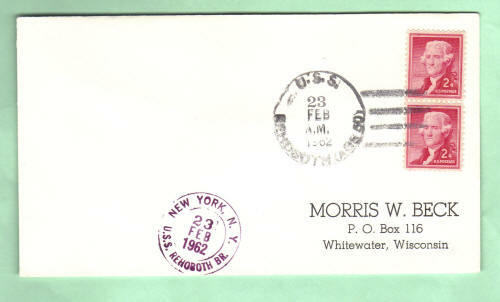 It is a cover sent home by Morris W Beck who joined the US Navy directly out of high school in 1944. 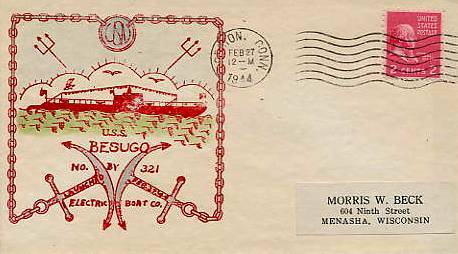 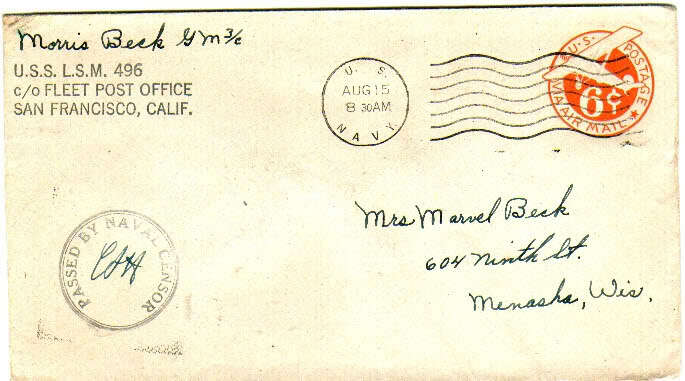 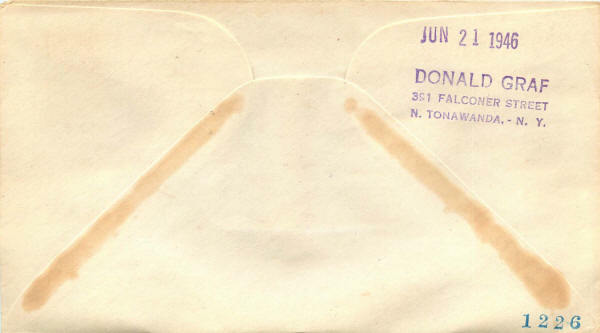 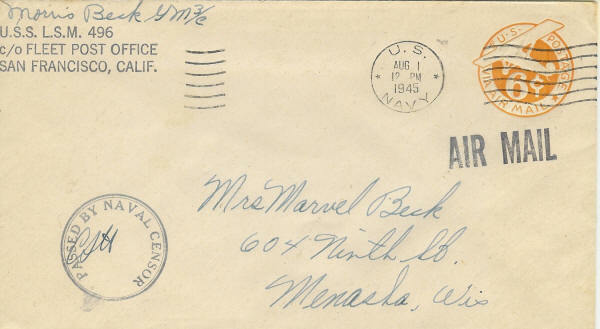 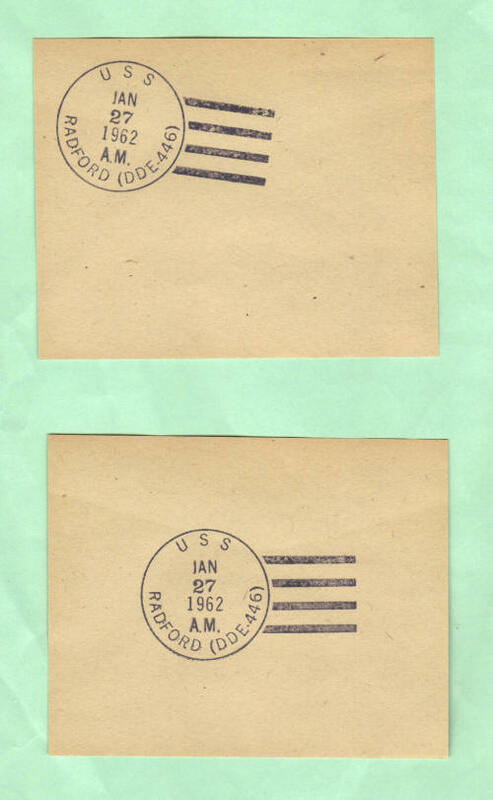 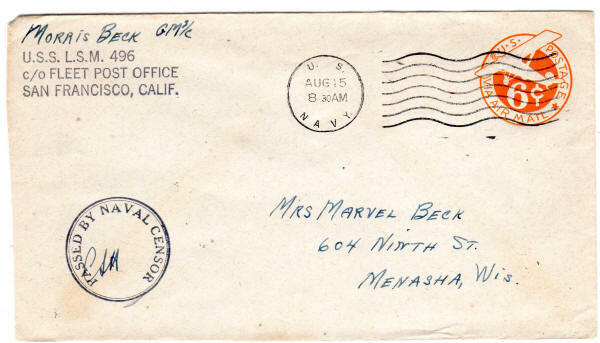 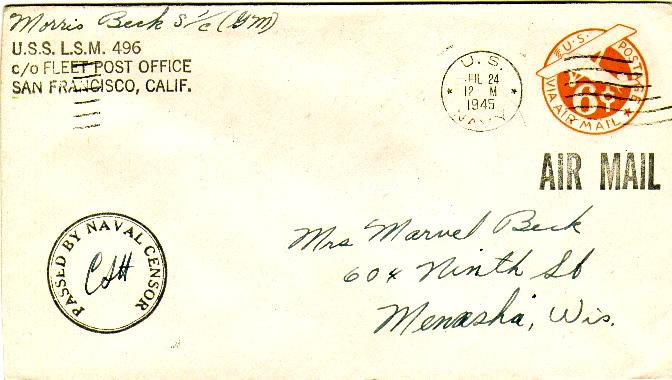 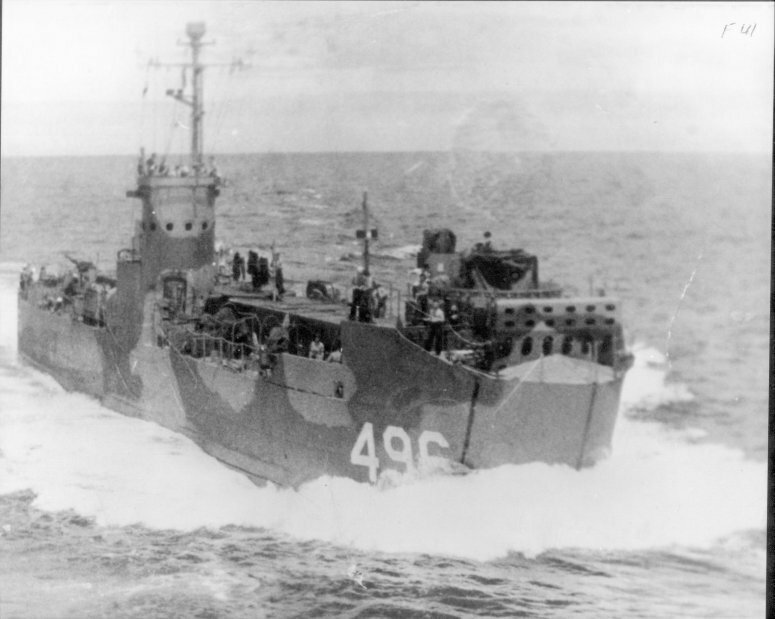 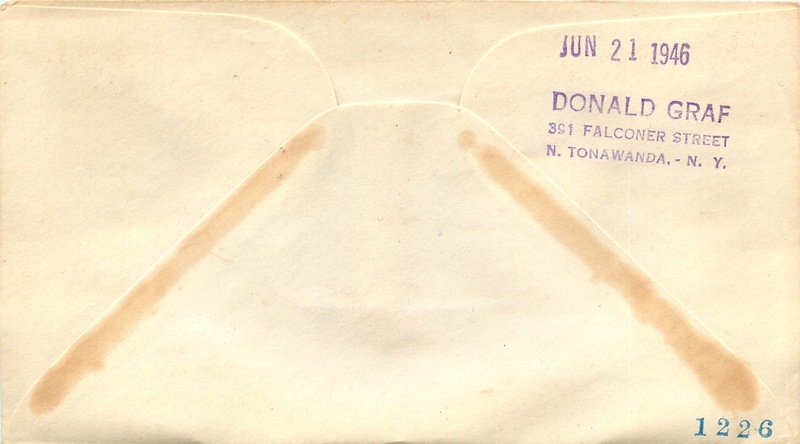 Mr. Beck sent numerous covers to ships for postmarks for his personal collection. These are easy to spot because he preprinted or wrote his mailing address on the covers. 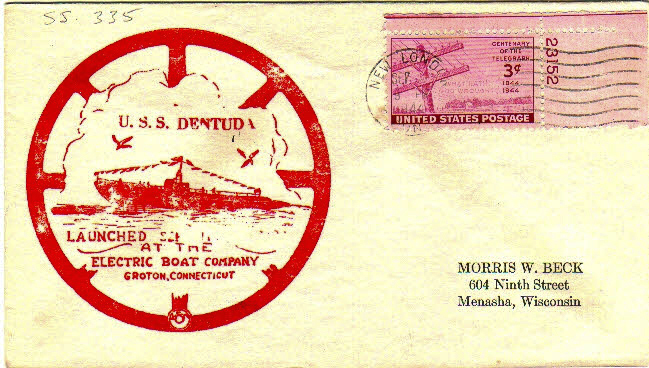 cachets but they didn't have a post office on board the sub. 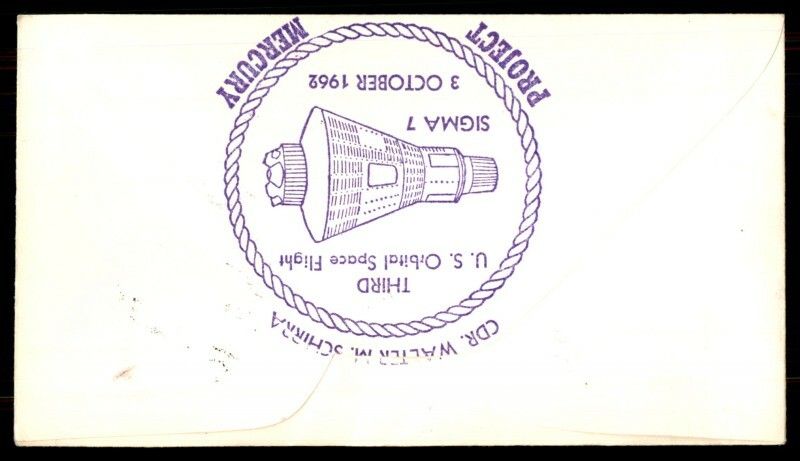 port or on another ship. 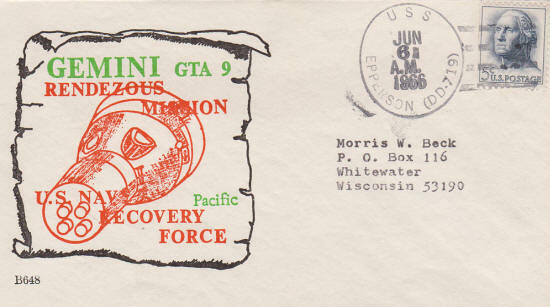 Scan courtesy of Woody Witt. 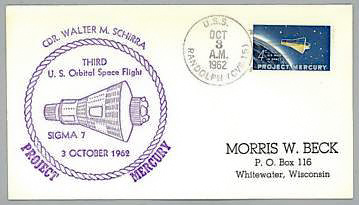 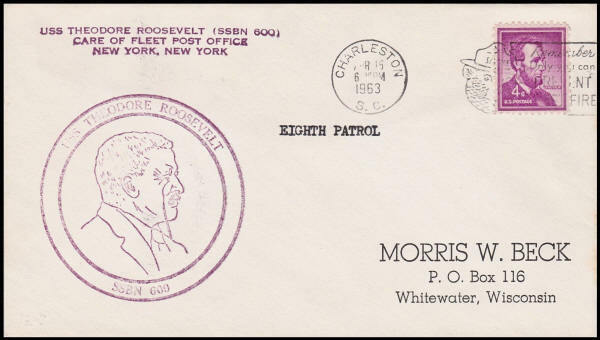 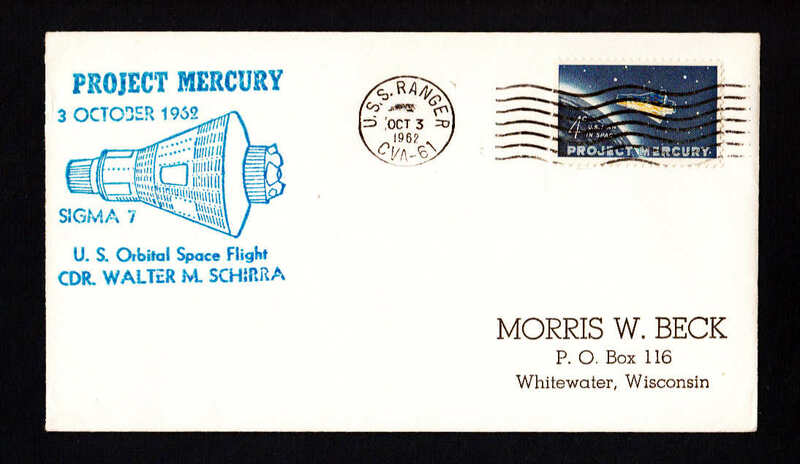 with Morris W Beck's address printed on the envelope. 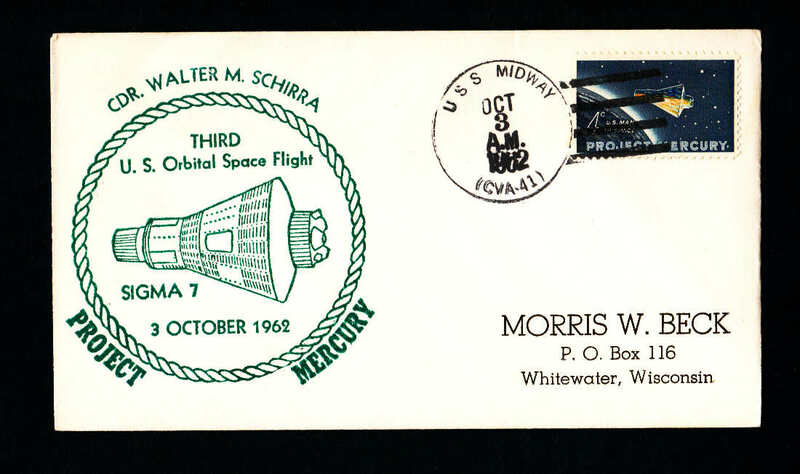 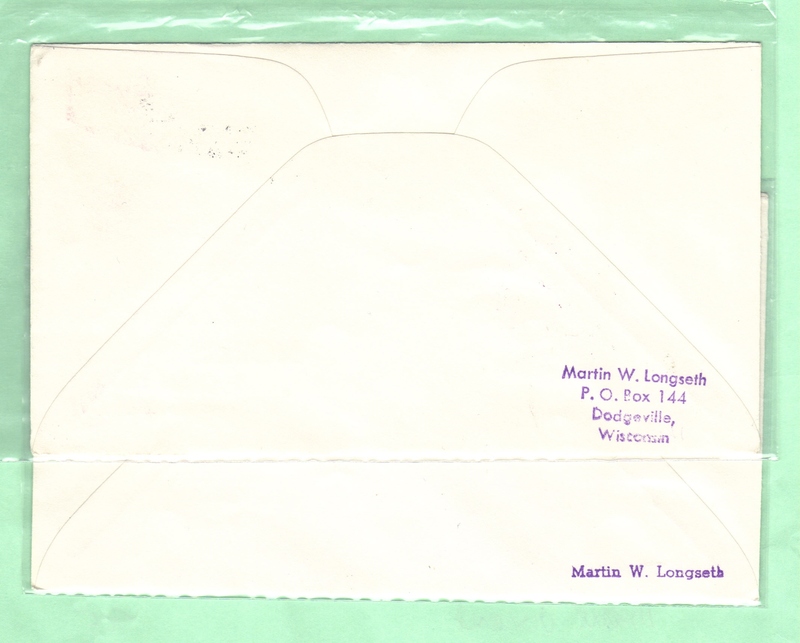 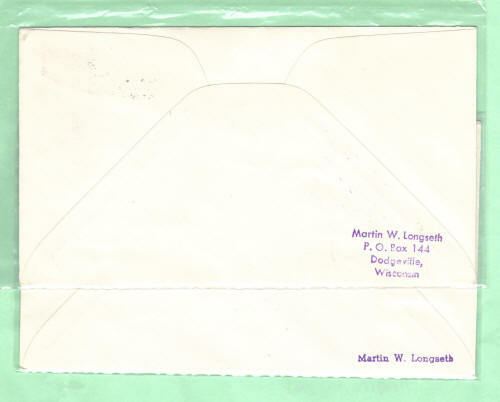 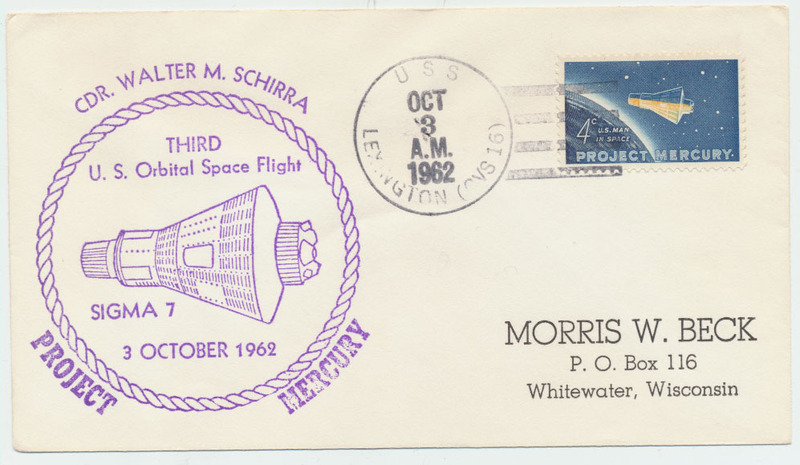 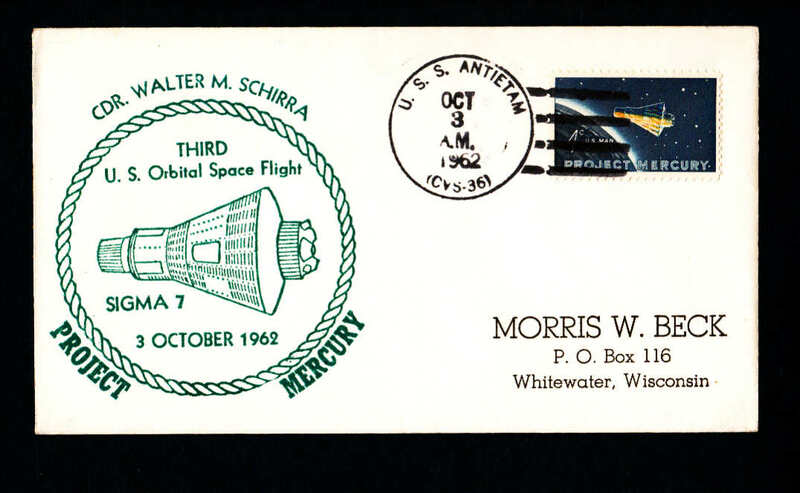 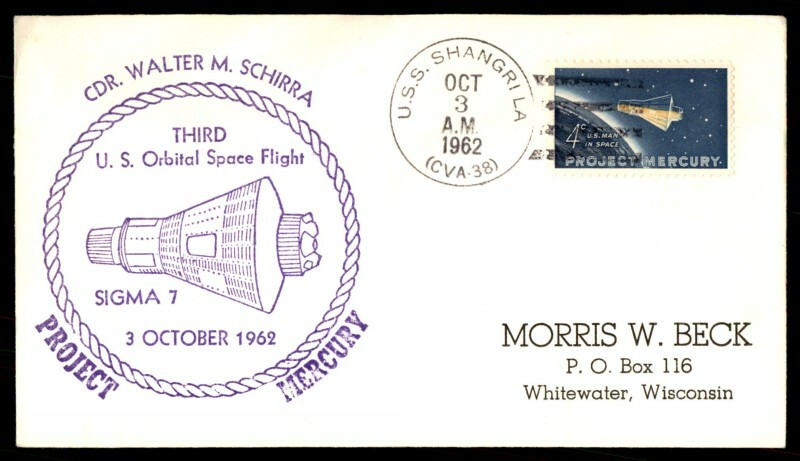 Some of these covers have Martin Longseth's name stamped on the reverse of the cover. 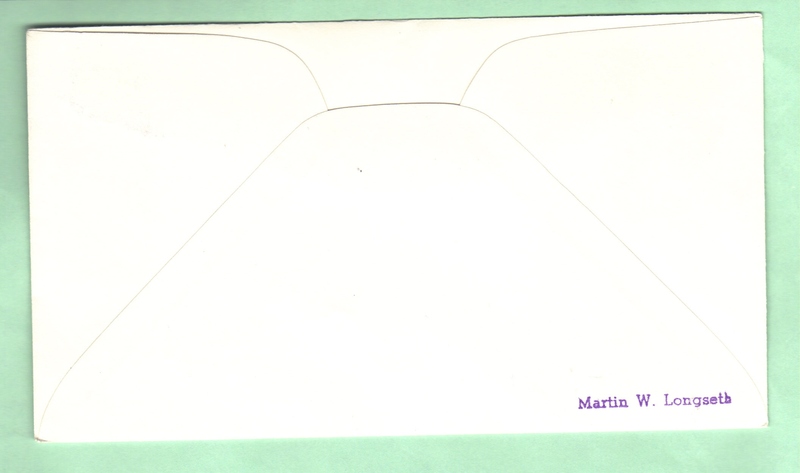 We believe that Martin stamped his name because the cover was in his collection at some time. 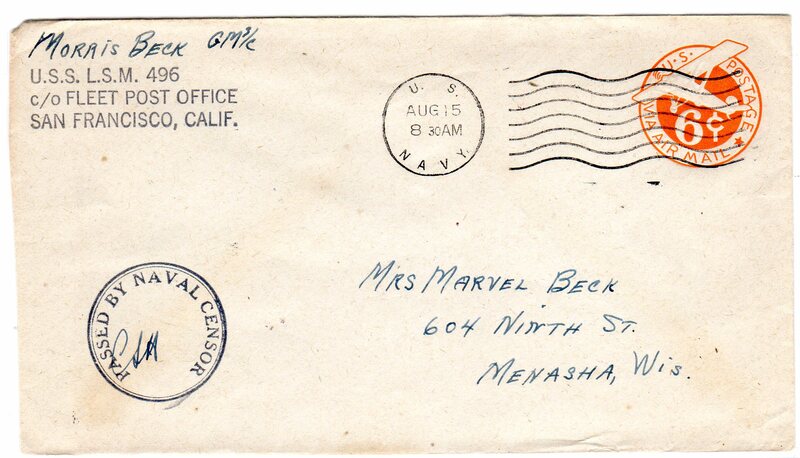 Interesting GTA 9 cover addressed to Mr. Beck.